I feel like I’m being unfair to The Mars Room. Its presence on this year’s Booker shortlist is refreshing and significant; its voice is memorable and consistent; its heart, reader, is in the right place. There are passages of quite impressive tension, and others of much humour and even – if this is not too hoary a noun (which, of course, it is) – ribaldry. It has something to say of perhaps even greater urgency now than when the novel was being written. You’ll remember it; it sticks. And yet I can’t quite shake the idea that the novel doesn’t really work, or that it is weirdly derivative for a novel that wants to be taken so seriously. The Mars Room begins some time around 2003, when Romy Hall, a single mother in her late twenties, is being ferried to Stanville, the prison where she is to start the first of two consecutive life sentences. The exact nature of her offence is kept hazy until very late in the novel, but we quickly intuit that, in one way or another, she killed a man who had begun to stalk her. She had first met him in her capacity as an adult dancer in the Mars Room of the title, a very low-rent establishment in her native San Francisco at which she had worked for some time. “I am still Kurt Kennedy’s victim,” Romy tells us very early on, “even though he’s dead” (p. 19). “Low-rent” is the adjective to describe much of the milieu in which The Mars Room is set. Its San Francisco is not the sun-kissed city of postcards and romantic movies; it is a hard-scrabble, down-at-heel place which exists beneath, above, to one side of and in between the recommended hotspots, “immersed in beauty and barred from seeing it” (p. 11). Only the tourists call this place “San Fran”, Romy tells us, and only people from further east think of it as a beacon of the good life. For Romy, it is only the home foisted upon her, her tatty default state. The characters in The Mars Room, then, are acutely aware of their own disenfranchisement. From the conspiracy theories of her inmate contemporaries – “I didn’t meet a single person in the county who wasn’t convinced that AIDS had been invented by the government to wipe out gays and addicts” (p. 15) – to their understanding of the job market – “White girls get all the best jobs … while us black and brown women pull used tampons from the septic tank” (p. 161) – they are not blind to the injustices around them, and which have defined their lives. Injustice is fully integrated with their daily experience, threaded through life like a shabby golden thread. “If I was a dude I’d be like I am right now,” one of the prisoners shrugs. “‘Cept not locked up” (p. 105). This structural injustice is featured on almost every page of The Mars Room, but is perhaps most clearly and concisely presented in Romy’s experience of the justice system. Bundled into a pen of other defendants, she first watches a man named Johnson endure a hearing, “as the facts of his life were exposed like pants pockets pulled inside out” (p. 61); she then finds herself assigned the same lawyer as Johnson, simply approached on the other side of the pen’s fencing by “an incompetent and overworked old man” (p. 63) going through the motions in a court which habitually dopes up defendants with liquid thorazine (“an invol by corrections offices [to make] their own job easier” [p. 62]). He refuses to let Romy testify, mostly out of a sort of programmatic caution (“No competent lawyer would put you on the stand” [p. 64]), and fails to work to build Romy’s trust sufficiently to persuade her to take a plea bargain. “What I didn’t realize, at the time,” she opines with the benefit hindsight, “was that most people took pleas because they did not want to spend their life in prison” (p. 65). Romy blames her lawyer, then, for her predicament: as an avatar of a system interested primarily in processing people rather than understanding them, he comes to represent all that is inadequate and off-hand about the US court and penal system. Others, however, blame Romy: “Ms, Hall,” intones Stanville’s Lieutenant Jones, “I know it’s tough, but your situation is due one hundred per cent to choices you made and actions you took” (p. 157). 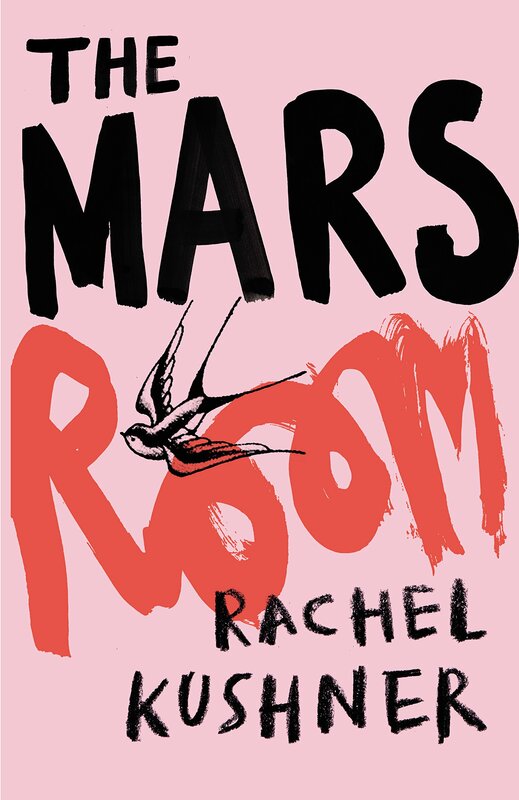 The Mars Room is not ambiguous about the side it takes in this debate: it depicts Romy as never having had a meaningful choice to make from the day she was born, and also demonstrates the ways in which that helplessness is transmitted through the generations. The novel throws this argument into higher, but not always as successful, relief through the medium of three competing perspectives. Interspersing Romy’s first-person narration, which makes up the vast majority of the novel, are intermittent chapters from male points of view: two written in the third person – one from the perspective of Gordon Hauser, the prison educator, and a man named Doc, a corrupt cop who was having an affair with one of Romy’s fellow inmates – and an even more intermittent, and frankly odd, set of first-person interpolations from the Unabomber, Ted Kaczynski – a man who lives, like Hauser, in the woods and admires, like Hauser’s hero Thoreau, the “natural” world. The third-person emphasises that the novel doesn’t belong to these men, and their perspectives – Hauser’s sleazy obsession with “improving” the women in his classes without ever engaging with the truth of their existences (“They seemed afraid of the mountains, which surprised Gordon[:] ‘You got to fight bears up there'” (p. 187)], or the total lack of value Doc places on the lives of the people he in theory seeks to protect (“At the moment when the suspect’s hands go into the pockets, Doc fires at the face” [p. 198]) – serve to underscore the inevitability, if not the wisdom, of Romy’s fatalism. “Everything here is about choices, decisions, as if people are making them when they commit a crime” (p. 285), she observes cynically. The Kaczynski stuff feels more out of place, and never quite coheres. It seems that Kushner is making a point about toxic masculinity, the Pyrrhic vacuum at the heart of the most destructive assumptions on offer in the novel; but since, rightly, the men in The Mars Room aren’t given space to take over the narrative, none of this is developed sufficiently to justify the weirdness of Kaczynski’s presence. The one exception to this rule is Romy’s stalker, Kurt Kennedy, who, in one of the book’s queasiest about-turns, develops around him an air of pathos in his final appearance: a man now on crutches, with clear mental health issues himself, bludgeoned to death with a crowbar. The Mars Room doesn’t make of Romy a Mary-Sue: she is prone to racism even as she also admits to “sometimes feeling sorry for bigots” (p. 166); for every bit of wisdom she imparts, she betrays, too, her limitations. Her contemporaries are not saints, or even likeable, “just people eager to see others fall under the hammer they suffered under themselves” (p. 78). This is a novel which wishes us to understand that we are all human – and that this means we are all often unlovely. In achieving this, however, it is less successful than the book that casts a long and deep shadow over Kushner’s, Piper Kerman’s Orange is the New Black (2010). This shadow is made more indelible, in truth, by the Netflix TV series based on Kerman’s memoir, in which the show’s creator, Jenji Kohan, consciously created a stage for minority stories and diverse experience: by using the story of the blonde, white, middle-class Piper Chapman as an entry-point for the audience, OitNB has succeeded like few other mainstream television series in showcasing female stories rarely seen by audiences. The show’s six seasons and flashback structure has enabled it to weave an extremely rich tapestry; The Mars Room, set just like OitNB in a women’s prison and, just like OitNB, in the mid-2000s and, just like OitNB, focused on advocacy and diversity, can occasionally read as redundant, like fan-fiction for a show which shares its difficult mix of politics and humour, whimsy and violence. I’d like to say this isn’t Kushner’s fault, and that the novel should be read outside of this context; but OitNB has been hard to avoid since its debut in 2013, and The Mars Room should have taken more readily its opportunity to offer something different. Still, a novel’s similarity to another property does not negate the often crystal clarity of its prose style, or the many achievements of its, admittedly sometimes over-formal, voice. Structurally, it doesn’t always fit together as satisfyingly as it might have done; every now and then the reader feels a little too keenly the gravity of the novel’s concerns pulling it into certain shapes or in particular directions; few of the characters beyond Romy are really given room fully to breathe. But nearly 1% of all people in the United States are incarcerated, giving it the highest per-capita incarceration rate in the world; 40% of this population is black, compared to just 13% in the general population; and between 1981 and 2001, the rate of female incarceration increased five-fold. This makes The Mars Room of acute contemporary relevance, as does its piercing focus on how women are policed and punished more generally within US society. At a time when the President of the United States is a self-confessed perpetrator of sexual assault, and the US Senate has become so politicised, and mired in such constitutional crisis, that a man of allegedly similar proclivities, and certainly of unexamined partisanship, can be elevated to the Supreme Court, The Mars Room is more urgent still. That it is an accessible, and yet lucidly written, novel makes it unusual amongst literary fiction – and means it deserves and is capable of a very wide readership. If for rather less important reasons it might be somewhat hobbled in the Booker stakes, we might want to place the significance of book prizes within that wider, and more critical, context.